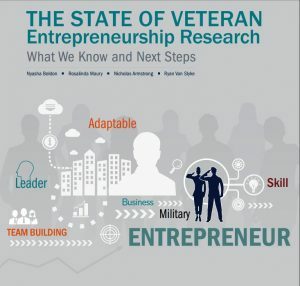 This paper reviews the current state of research on veteran entrepreneurship, identifies critical gaps, and offers recommendations for future research. This publication is primarily from the Institute for Veterans and Military Families (IVMF) at Syracuse University. 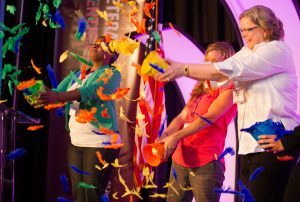 The work was made possible through the support of JPMorgan Chase & Co. and the Center of Excellence for Veteran Entrepreneurship (First Data Corporation, Founding Partner). This review reveals that a majority of the knowledge on veteran entrepreneurship is concentrated on veteran-specific traits, how these traits equip them to be successful entrepreneurs, and employment assistance programs for veterans with a service-connected disability. The paper is organized into three sections: a background section on national- and veteran-owned business ownership trends, a review of the current academic literature on veteran entrepreneurship, and a final section that identifies key research gaps and next steps, including emerging topics of interest such as women veteran and minority veteran business owners.